A change of wording helps ease anxiety with this idea by Toni, a 2nd Grade Teacher, in Davie, FL. Not only does test taking become less intimidating, it can also become a great way to review and learn new concepts. Check it out! After 16 years as art teacher, my school eliminated art, so I had to begin teaching in the regular classroom for the first time ever! 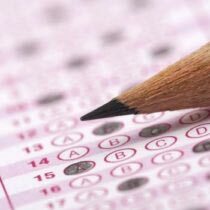 Even before I made my transition into the regular classroom, I had heard horror stories about students freezing up when they had to take a test. I decided that would not happen in my classroom. So, from day one, I explained to my students that in my classroom, there would be NO TESTS. Instead, we would be having SHOWS! My students know I own horses and that I ride in horse shows. I asked them what they think would happen if I just took one of my horses out of the barn and tried to show him without practicing. They agreed I would not show as well as if I practiced. This new approach to test-taking—TEACH/PRACTICE/KNOW/SHOW— works! No test anxiety in my class! And, we look forward to all of our SHOWS! 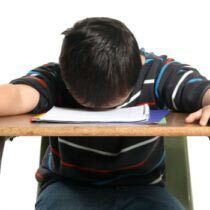 How do you help ease students’ anxieties about test taking? Share with us below or check out the Really Good Teacher Forums and share your expertise there! We would love to hear what you have to say!